clothing, furniture, kitchens, jewelry, shoes, bread, meat, fish & vegetables & fruit. Also available in 2700K, 3000K & 4000K colour temperatures. Emerald 6 serie 28 Watt can replace 2 x 26 or 1 x 42 Watt CFL. Emerald 7 serie 41 Watt can replace 2 x 32 or 1 x 57 Watt CFL. Innovative convex lens application (patent pending) that generates a unmatched light efficiency in combination with a very low glare. Perfect replacement for traditional PL- & CFL downlighters. High light output in combination with compact dimensions. Available in 3000 up to 4200 lumen versions. 71° & 83° beam angle for a remarkably wide, yet uniform light distribution. Various dimming options: Mains (phase cut), 1-10V, DALI & DMX 512 protocol. 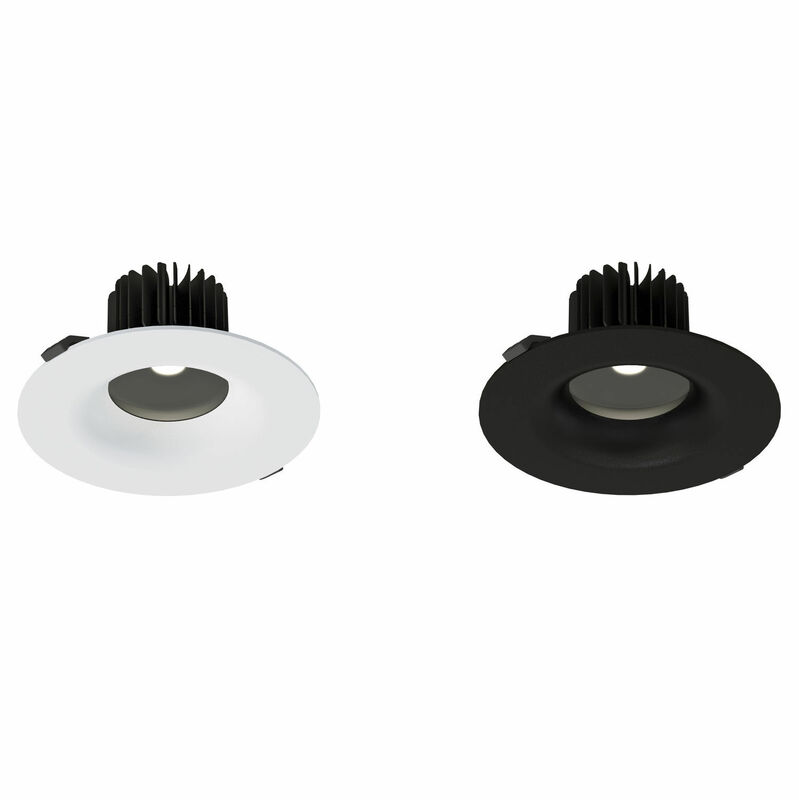 Variable installation size of 140 - 200 mm for replacement of the most common sizes of PL- & CFL downlighters. Available in white and black finish, other colours on request (MOQ applies).